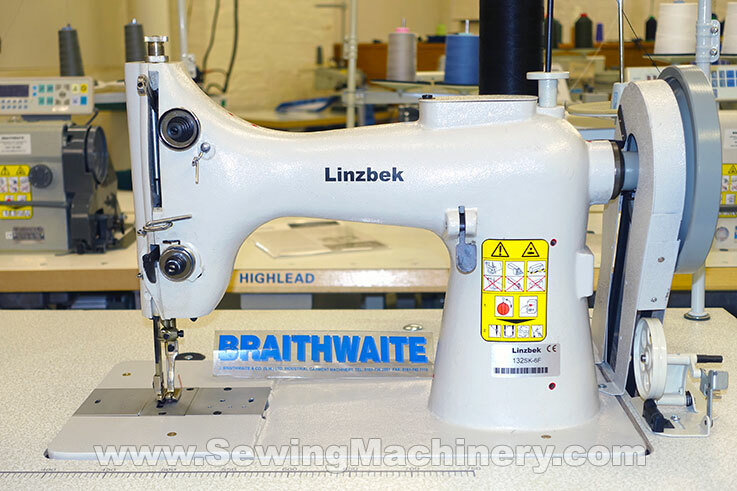 Linzbek 132SK-6F extra heavy duty industrial sewing machine with extra large capacity hook for use with heavy weight materials & thick sewing threads. 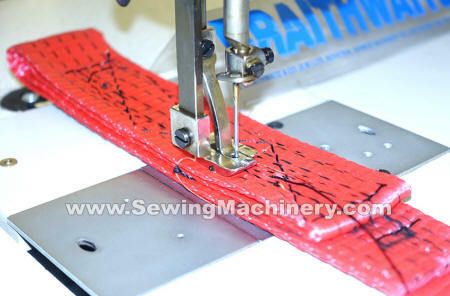 Features bottom feed and alternating presser foot for stitching on heavy and extra heavy weight applications. Ideal replacement for the old Singer 132K series, with a similar specification plus many interchangeable service items and parts. Bottom feed + Alternating Pressers.